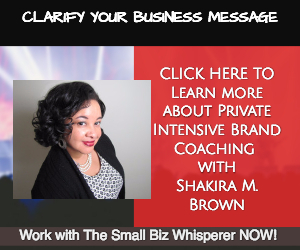 Shakira M. Brown is a 13 time award-winning PR and Marketing expert with over 20 years of experience leading communications strategies for various small and high growth corporations, public companies, celebrities, personalities and professional services firms. 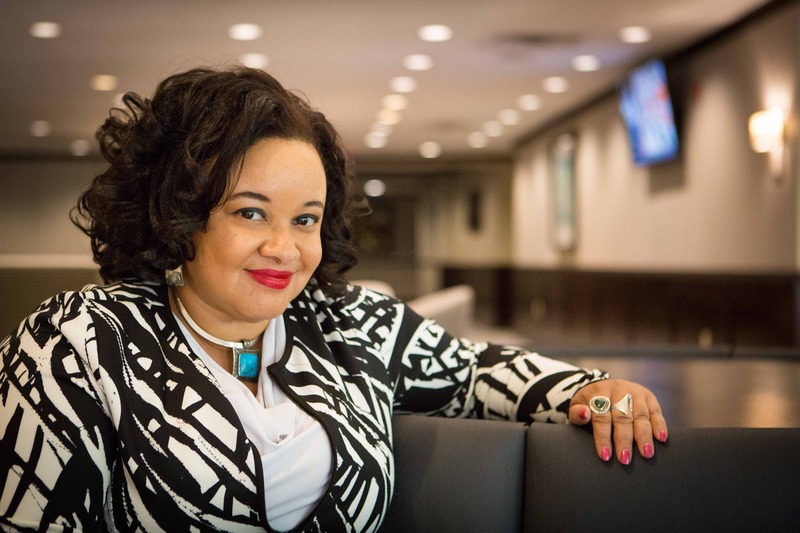 She has been featured as an expert in PRWeek, BrandWeek, Woman's World, U.S. 1 Princeton Magazine, Fridge Magazine, Working Mother, Black Enterprise, "Master Your Finances" on 107.7 The Bronc radio, MidJersey Business magazine, AOL Money & Finance, NJBIZ and Smartmoney.com among many others. As a speaker, Shakira as “The Small Biz Whisperer” has addressed audiences of her peers in public relations around the country for organizations like Bulldog Reporter Media Relations Conference in Washington, D.C., Public Relations Society of America and is a recognized small business marketing strategy speaker. She has been a featured speaker and expert for Meadowlands Accelerator (Incubator) Program in NJ , Essex County (NJ) Department of Small Business Development, The Circle (the circl.io) Small Business Speakers Series, America’s Small Business Development Center at The College of New Jersey quarterly marketing webinar series, where she is also the center’s lead marketing consultant for small business owners. Shakira is the Managing Principal and CEO of SMB Strategic Media (http://pradviser.net), a boutique communications firm specializing in providing affordable public relations and marketing services for small and middle market businesses. 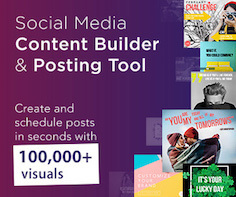 The firm also provides branding, content development, media relations, online reputation management, website strategy and content development, social media management / strategy and video production services. For more information visit: http://pradviser.net. As a publicist, Shakira has successfully placed her clients in major media outlets and events such as The Today Show, The Wall Street Journal, the Associated Press, Fortune, Businessweek (print and online), Forbes, The LA Times, Financial Times, New York magazine, Lehigh Valley Food & Wine, Atlantic City Food & Wine, Philadelphia Taste Food & Wine, Lifetime, USA Today, NY Times, National Public Radio (NPR) and many other national, regional/local television affiliated networks and radio stations nationwide. 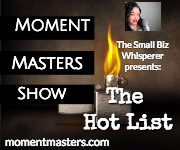 Her clients have included: MSNBC.com; BET.com; Dr. Frank Newport, editor-in-chief, The Gallup Poll; Russell Simmons, founder of Def Jam and Phat Farm empire; Mort Walker, creator - Beetle Bailey comic strip; Covanta, and Patrick McDonnell (Mutts comics), among many others. Shakira is a voting member of the National Academy of Television & Arts Sciences, commonly known as the Television Emmy Organization. She is also the lead marketing consultant for America’s Small Business Development Center at The College of New Jersey in Ewing, NJ. She is also a media council member with Gerson Lehrman Group Research, a network of consultants, physicians, scientists, engineers, attorneys, market researchers, and other professionals from around the world. Shakira previously served PRSA’s National Financial Communications section chair. She also served as diversity chair on the executive board for the PRSA-NJ chapter. She is currently a member of the Princeton Chamber of Commerce.